For over 40 years Groat Road Auto Service has been helping and serving families like yours in and around Edmonton. Our highest priority is always safety and doing the right things for the right reasons. We view personal and public safety as seriously as a doctor does his Hippcratic Oath. And it is our personal values and beliefs that dictate we do our very best to see that we leave our clients and their vehicles in better shape than when we found them. Our business is built on families and long term relationships and the relationships our clients bring with them. 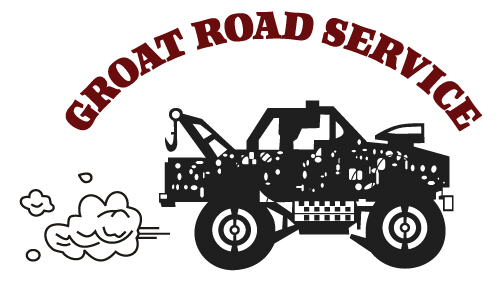 Groat Road Auto Service should be your first point of contact for all your inspection, servicing and maintenance, auto repair, and wheel and tire needs. All most autos ever need is routine TLC in the form of regular oil changes and maintenance. We do that. Our clients and their vehicles both get exceptional care and attention. And from time to time things do go wrong. Components wear down and parts break. Stuff happens. And when they do, we’re here for you to help take care of you and fix things. Our shop is fully equipped to handle any job with AC Delco OEM parts, and when it makes sense with more economical aftermarket parts at your discretion – before the job begins. Because getting the right vehicle is more important than maintaining and upgrading the wrong vehicle. So when you are considering a used vehicle we’ll be there to help you for those times of transition with Pre-Purchase Inspections. And when regulation requires, we are here for you to fulfill all your personal vehicle inspection needs: Insurance Inspections, Safety Inspections, and even Out of Province Inspections. Feel good knowing Groat Road Auto Service is working hard to serve your highest interests.